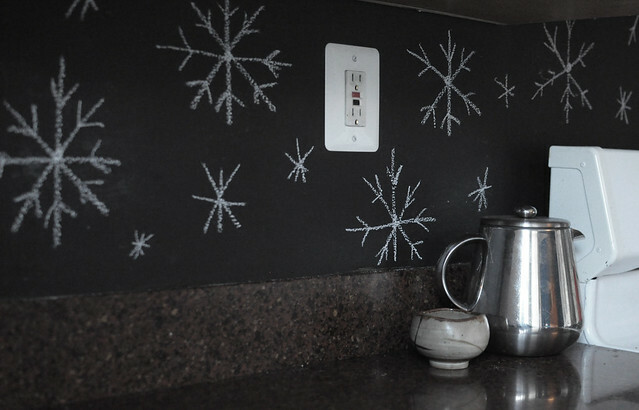 Last year, I painted a wall in my kitchen with chalkboard paint. It’s been great for writing notes when cooking and we’ve even decorated it seasonally and on peoples’ birthdays. 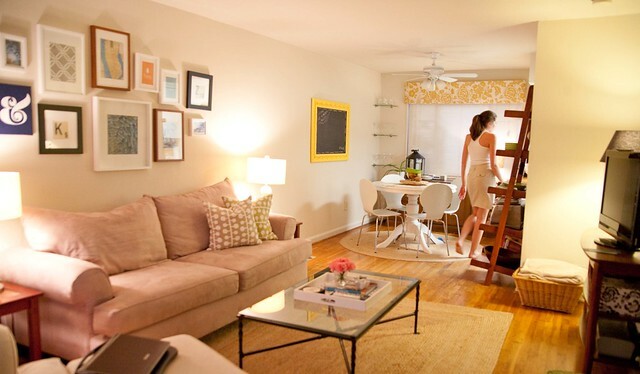 But now we’re planning to make some upgrades to our kitchen which will involve adding subway tile and covering my beloved sketch wall. There’s always another wall, right? So I looked around for unused space and settled on the landing at the bottom of the stairs (don’t mind my crusty floors). It took about two hours to finish the project, with kids asking periodically, can we draw on it now? I painted two coats using the remnants from my last chalkboard painting project (a little goes a long way). 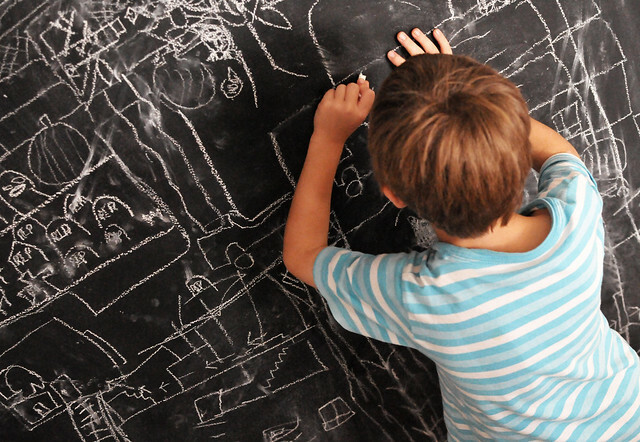 After we “seasoned” the wall by rubbing chalk sideways all over and then erasing (this helps prevent the wall from becoming streaky), the kids started working on the blueprints for a very complicated haunted house. One of the problems with the old wall in the kitchen was that the kids could only access a small corner around the stove. Now they have more space to do whatever they want. With the holidays coming, I’d love to draw a chalkboard Christmas tree… or an Advent calendar… or just a winter wonderland scene with colored chalk. 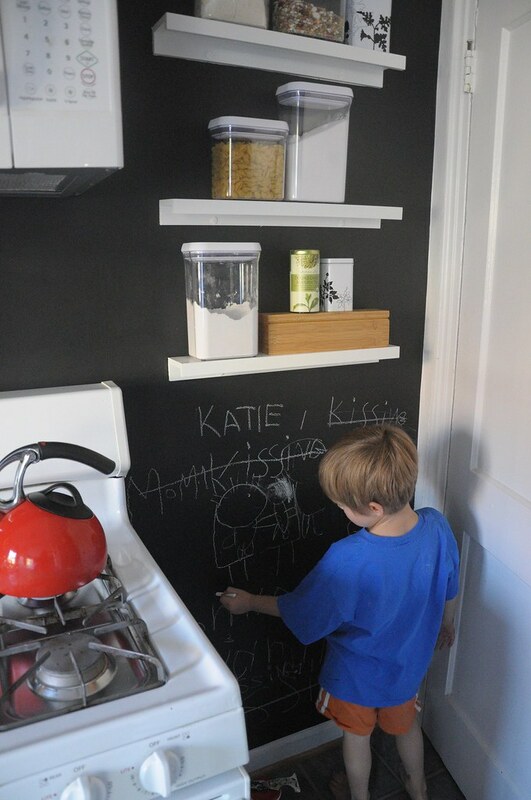 There are lots of ways to use chalkboard paint (in fact, we’ve written two posts about it — part I and part II can be found here). Katie and Zack painted part of their dining room wall and framed it with yellow molding for a finished look (you can see a similar one on the wall at Del Ray Pizzeria). 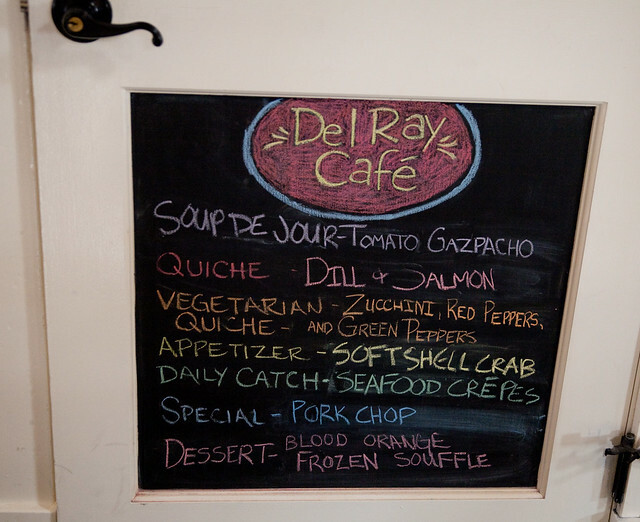 At Del Ray Cafe, the owners painted the panel of a door and use it to write the specials of the day. 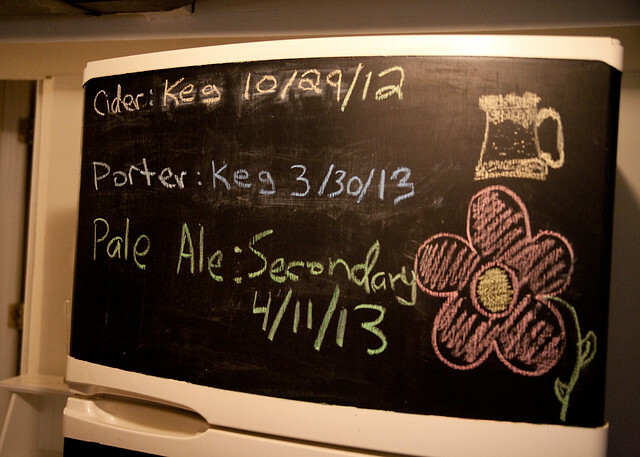 Michael and Jordan decorated the outside of their DIY kegerator with chalkboard paint to indicate what’s on tap. 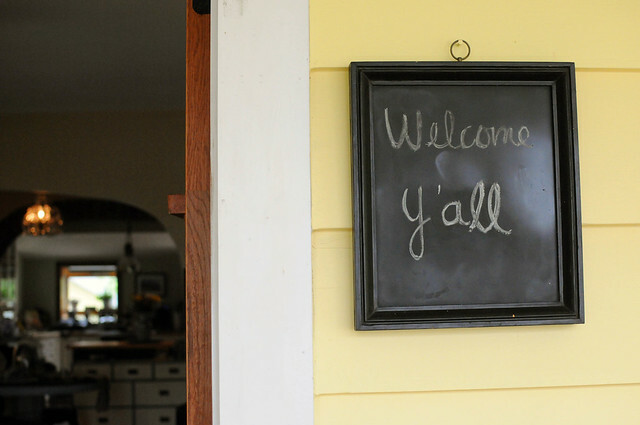 And Phara painted a welcome sign outside her home. 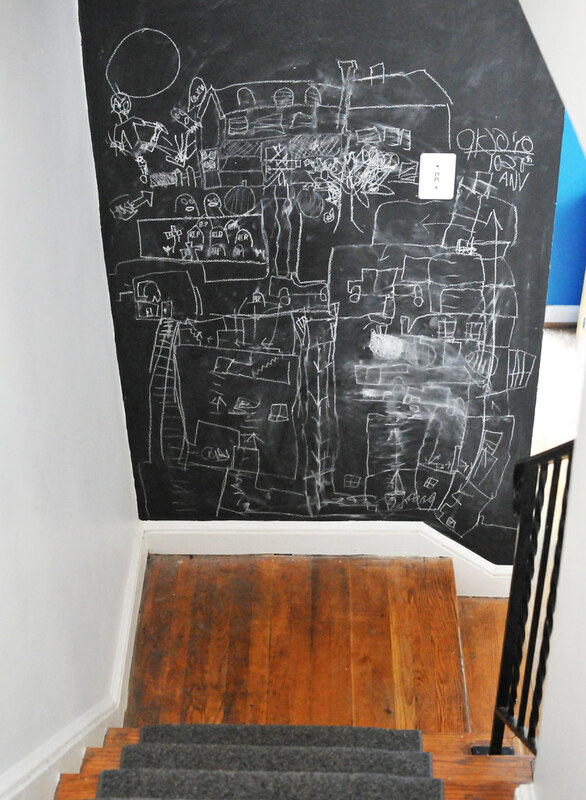 What ways have you used chalkboard paint? Send a photo — we’d love to use in a future post!